Hello Guys, we sharing some best dialogues from movie Tiger Zinda Hai. Tiger Zinda Hai movie trailer has already released now, this is an upcoming spy thriller film which is directed by Ali Abbas Zafar. Salman Khan and Katrina Kaif are playing the main lead role and Paresh Rawal, Sudeep and Gavie Chahal are in supporting roles. It is the sequel to 2012 movie Ek Tha Tiger and the second instalment of Tiger film series. 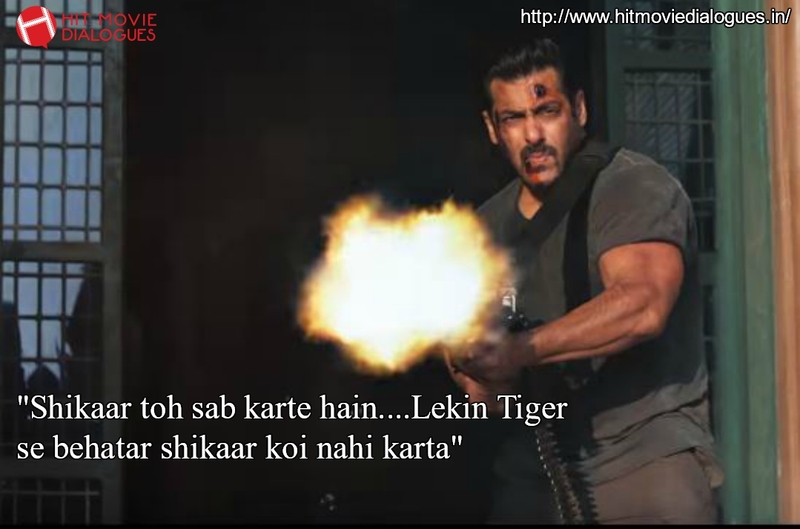 Some dialogues are really awesome which are delivered by Salman Khan. Here we collected all latest dialogues, punches from this movie. It is coming to the theatres near you on December 22, 2017. I hope, you will like my post. "Jab se duniya bani hai, Tab se har kone mein sirf ek hi jung hui hai...sahi aur galat Ki, roshni aur andhere Ki"